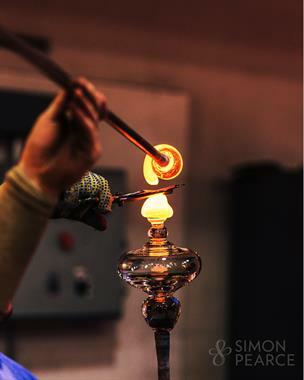 Fire, air, strength, skill, and passion—these are the essential elements in making Simon Pearce glassware. Simon was raised on the coast of Ireland, where his parents inspired in him an appreciation of simple, well-designed, functional objects—beautiful things, contemporary in any time—that were made by the hands of designers and artists they knew. 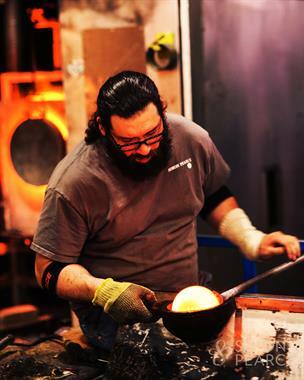 In the early 1970s, when glassware was mass-produced with uniform precision in large factories, Simon sought to renew the art of glassblowing and to make one-of-a-kind pieces where perfection comes from the uniqueness that can only be made with the human hand: glassware with soul that makes the food and drink you put in it look and taste better, designs that fit into any home. Today, a new generation of designers and glassblowers learns and furthers Simon’s vision of creating handmade glass using a combination of timeless artisanship and contemporary design. 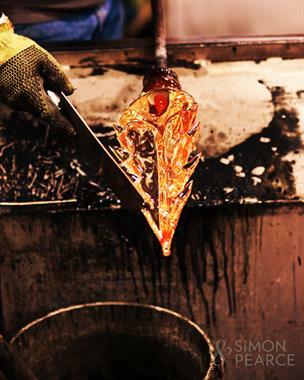 Every piece of glassware we blow carries the sign of its maker—the pontil mark softly rooted on the underside of the glass. 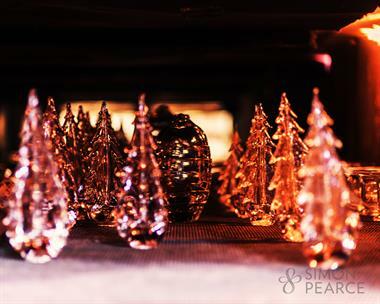 Enjoy watching our glassblowers create the one-of-a-kind pieces handmade at Simon Pearce. Our associates are available in the retail shop to answer questions and help you select the perfect glass and tableware. 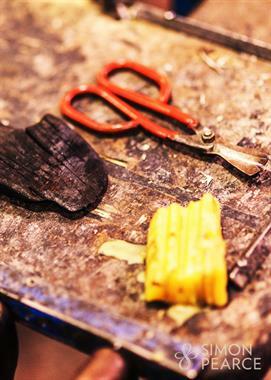 We welcome visitors to tour our manufacturing facility. Children welcome.